Exterior walls. Look for trouble spots on your brick, stucco or wood siding walls. 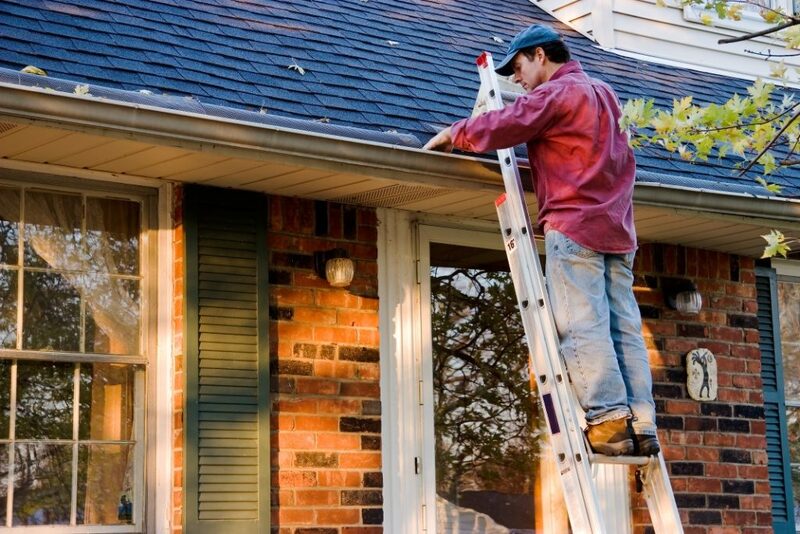 If you spot water stains, this means the gutters are not containing roof runoff adequately. Check whether there are any damaged areas or knots that have popped out. Windows. Check the caulking and weather stripping on your windows and ensure they are intact. Otherwise, the windows will let in air when you don’t need it. If you spot condensation inside the glass, your water seal is compromised. General Cleaning. Clean the areas of the house that are usually neglected. For example, clean the ceiling fans, table lap joints, tops of wall-mounted cabinets, window casing and vinyl blinds. If you find residue in the kitchen, wash the walls and cabinets with warm water and mild detergent. Air Conditioning. If you moved in a while back with the help of a moving company, check that your AC units are in good working condition. Check the hose connections for leaks, vacuum any dust settled on the unit and change the filters. Attics. Check for signs of critters and insect colonies. Also, check for molds and ensure proper ventilation. Clean the attic before the warm weather sets in. Basements. The basement is prone to insects and dampness. If the basement is damp, it means there is inadequate ventilation and higher than normal relative humidity. If this is the case, you will have to dehumidify it. Leaks. Check for sweaty pipes, clogged drains and leaky faucets. Check under the bathroom and kitchen sinks to ensure connections on hoses and pipes are properly sealed. Also, look for any signs of wetness around the dishwasher that could indicate potential problems. Grills. If you haven’t used your grills for some time, the burner jets may be logged. Inspect them for clogs and obstructions. Also, make sure the gas connections are secure and in good condition. Decks and Patios. Look for splinters, loose or warped boards and remove any debris accumulated between the boards. If you have metal furniture, check them for signs of paint erosion or rust. Outdoor furniture. If you kept your furniture in the store for the winter, bring it outdoors and wash with a mild detergent or give it a hose rinse. Lawns. Remove any debris or branches by raking the lawn and maintaining the garden. Also, check for any weeds growing on the lawn and remove them. To prevent the weeds from growing again, use an organic herbicide to eliminate them. Follow the maintenance checklist above to ensure you home if ready for spring or summer.